Gamma-ray spectra from resonance neutron induced fission of 239 Pu at 0.2 eV to 230 eV were measured with the high resolution gamma-spectrometer at the pulsed reactor IBR — 30 as a resonance neutron source. The fast 19-section ionization chamber with the 239 Pu targets was used for detecting fission gamma-rays in coincidence with fission fragments pulse inside the time window of 290 ns.On the ground of the observed gamma-peaks in the (0.1 – 1.6)MeV interval the fragment identification was made and the independent yields of some fragments were obtained in both the full interval energy and individual resonances. 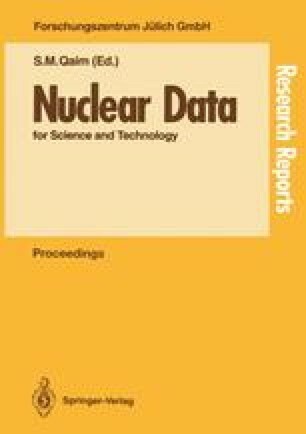 The results are compared with the thermal neutron data.